What Happens During My Checkup and Cleaning? When you brush and floss regally, you may assume that means a checkup and cleaning aren’t as important. However, even if you take excellent care of your smile, you still need to see a dentist for routine visits. What happens during your checkup and cleaning visits? True or False: You need to visit every six months. True or False: We use advanced technology in your exam. True or False: A cleaning helps protect your smile. True or False: Kids need these visits as well. True. We agree with the American Dental Association: Children and adults need to have their smiles examined and cleaned once every six months. For kids, these visits start after their initial visit once the first baby tooth arrives. True. We will use digital x-rays and intraoral cameras to obtain incredibly detailed images of your teeth, gums, and jaw, allowing us to look for signs of wear and friction that may indicate TMJ disorder or bruxism, as well as the warning signs of cavities, gingivitis, or gum disease. We can also provide an oral cancer screening. 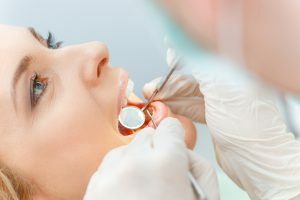 With these visits, we can identify problems in the earliest stages, treating them before complications arise that threaten the health and stability of your smile. True. Having your teeth cleaned involves removing all plaque buildup and tartar from your teeth, something brushing and flossing alone cannot do. When we remove plaque, you enjoy fresher breath and a brighter smile. In addition, the buildup that would weaken tooth enamel and inflame gum tissue is removed, reducing the risk of tooth decay and gum disease. True. For kids, these visits enable us to make sure teeth are erupting properly and watch for signs of developing problems. Routine visits also help kids become accustomed to the office, reducing dental anxiety and allowing our team to help instill good dental habits. 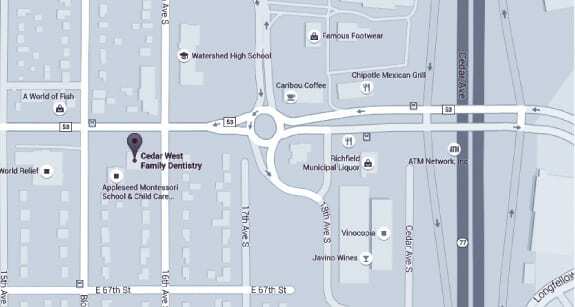 At Cedar West Family Dentistry, we can help you enjoy optimal oral health. Our practice can work with you to provide solutions to common oral health issues. To learn more, or to schedule an appointment with us, call our family dental office in Richfield, MN, today at (612) 861-7188.